Ursula K. Le Guin was a force to be reckoned with in science fiction writing. Her classic books were not only notable for how searingly they commented on the politics of our actual world, but also for the nuance and detail with which they created brand new worlds. For her 1985 novel Always Coming Home, she invented a Pacific Coast peoples named the Kesh – and not content with simply writing a novel about them, she also produced a 500-page book about their lives, alphabet, recipes, and literature. Along with this, she released recordings of their indigenous music, which in reality she created with her friend, composer Todd Barton. The recordings consisted of music made by “instruments” of the Kesh (designed on a synthesiser by Barton), intermingled with field recordings. This March, experimental independent label Freedom to Spend (part of RVNG Intl.) re-released their compositions as an album, two months after Ursula sadly passed away at the age of 88. Music and Poetry of the Kesh is an enthralling, earthy listen, as innovative now as it must have sounded in the 1980s. In the exclusive video for “Kesh” (directed by Vanessa Renwick, below), we see nature through an eerie monochromatic lens – just as the music itself is somehow both organic and out of this world. 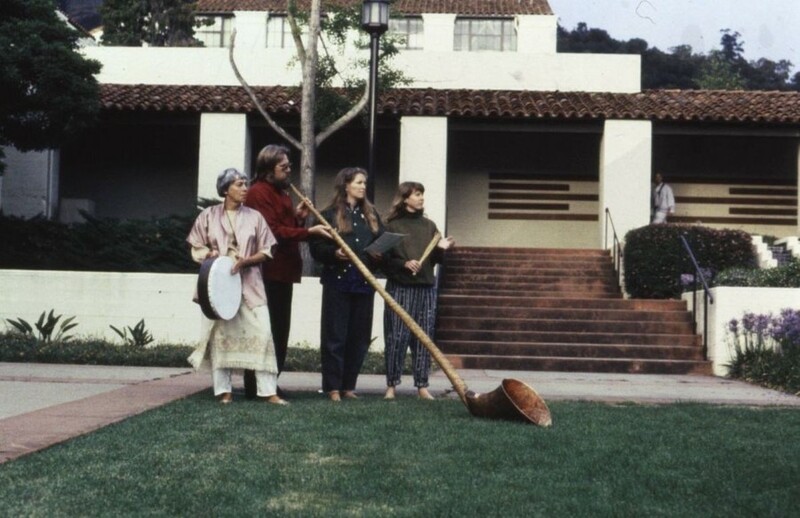 For Barton, listening back is a reminder of what a rigorous sonic archaeologist Ursula was.